In other news … Republicans completed their epic fail to pretend to pass an immigration bill on Wednesday when the GOP compromise bill on immigration failed in a worse-than-expected 121-300 vote, effectively ending a months-long GOP drama that had put the caucus’s internal politics on display. Arizona delegation: Yeah: McSally; Nay: Biggs, Gallego, Gosar, Grijalva, Lesko, O’Halleran, Schweikert, Sinema. The measure won far fewer GOP votes than a more hard-line measure rejected last week in a 193-231 vote. Only 121 Republicans backed it, compared to 193 for the earlier measure. Two Republicans did not cast votes on Wednesday, while 112 Republicans voted against it. Votes on the bill were twice postponed to give Republicans more time to win support for the measure, which was opposed by Democrats. But conservatives never really warmed to it, and President Trump put down the effort on Twitter, at one point saying that Republicans should stop wasting their time since the bill was seen as dead on arrival in the Senate. The compromise bill would have provided a pathway to citizenship for so-called Dreamers, the issue that led centrist Republicans to launch a discharge petition to force a series of votes on immigration. The bill also earmarked $25 billion for Trump’s border wall and other security measures, ended the diversity visa lottery program and imposed limits on family-based migration. The bill included a conservative proposal to end family separations at the border, an issue that has inflamed tensions. 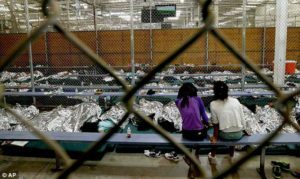 The bill would also rescind what’s known as the Flores settlement, which establishes minimum standards and a 20-day limit for detention of minors. The decision to vote on the hard-line immigration measure last week and the compromise bill on Wednesday was part of a deal within the GOP conference that effectively quashed the petition. Rep. Carlos Curbelo (R-Fla.) — who introduced the discharge petition in May and co-sponsored the compromise bill — said moderates haven’t ruled out introducing another discharge petition. It’s still possible the House could seek to take action on a narrower measure to end family separations at the border, though the form is unclear. Several different bills are expected to be introduced in the House, and competing efforts are also underway in the Senate. “From the beginning, it’s been a tough, tough, tough road to get to anything that our members can agree on. Again, you have members in our conference that don’t want to do anything, whatever we do is amnesty,” one GOP aide told the Hill. Trump also made it difficult for GOP leaders to make any progress, though he did urge lawmakers to back the measure on Wednesday, in an all capital-letters tweet, hours before the vote. Of course, Rep. Martha McSally voted for the bill because of “Dear Leader’s” tweet. Some Republicans, however, said they would have preferred to hear more from the president. Going into last weekend, some lawmakers had said they wanted to hear Trump say that a vote on the measure would not be a vote for amnesty. Trump’s decision to rescind the Deferred Action for Childhood Arrivals program in September instigated much of the immigration drama. Trump initially asked Congress to come up with a legislative fix for DACA by March 5. Their failure to do so will leave the program’s future in the courts, or perhaps with the next Congress. 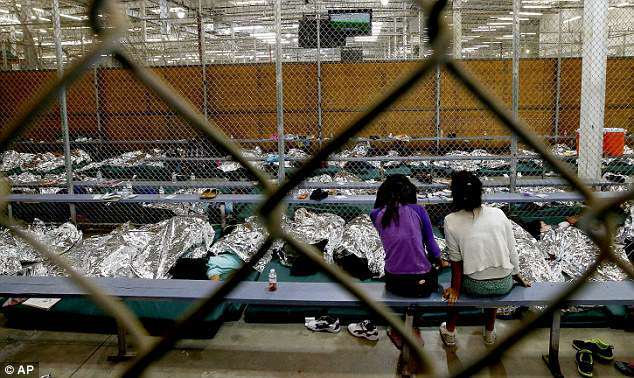 Trump has doubled-down with his “zero tolerance” policy of tearing apart immigrant families, with children held in cages and unable to communicate with their parents. And still they do nothing. Previous articleThis Happened Because We Didn’t Vote!